Clear polybag closed with artificial natural raffia. 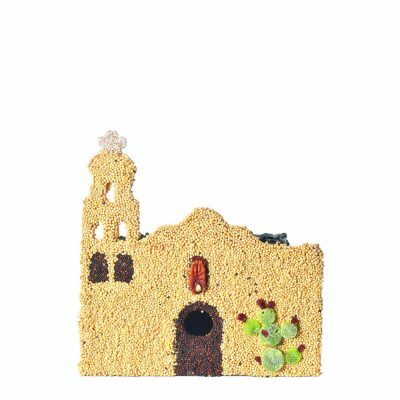 These 3 adorable Birdie Cottages are sweet bird seed treats with a price that can’t be beat. Hand decorated and presented in a mixed case. Accented with butterflies and dried greenery. Approximately 6″ tall. Founded 1769 San Diego, California.